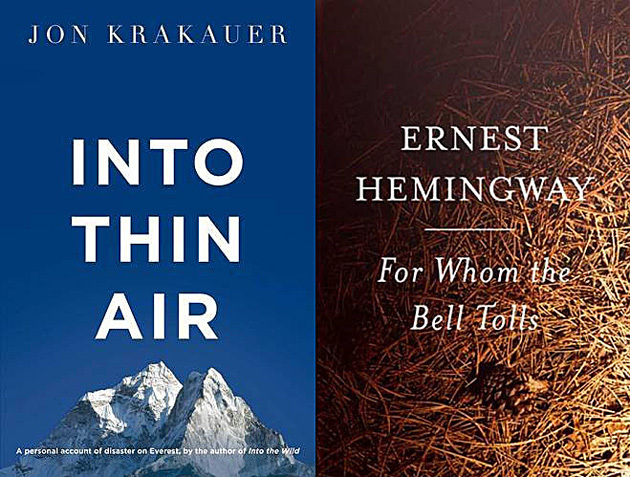 First off, kudos to Adventure Journal for this brilliant idea–a test of whether you, the reader, can determine who is who: Ernest Hemingway or Jon Krakauer? Those two titans of adventure literature are rarely considered birds of a feather, but as Adventure Journal’s test illustrates, they actually sound a hell of a lot like one another when you get right down to it. The premise of the test is simple–show the reader a passage from a book written by either Hemingway or Krakauer and leave it to readers to ferret out which writer actually authored that bit of text. Sounds simple. It’s not. I was sure I could pick the two apart every single time. As it turns out…not so much. Well, I got the answer right about 65 percent of the time, but I’m pretty sure a blind-folded monkey would rack up a similar percentage if given the opportunity. So, yeah, nothing to brag about at the next book club meeting. How would you fare? Head on over to Adventure Journal and give it a go.